It’s great. I’ve been following Formula One for a long time – not since the 50s, obviously – but I’ve been in love with the sport since the early 90s. Reaching 1,000 races for Formula One is very impressive. When they started, I’m sure they didn’t think it would come this far. It’s pretty impressive. It’s going to be a great grand prix in China. I’m looking forward to the event and, hopefully, some good luck. I was around seven years old when I really began to follow Formula One. I was watching Alain Prost and Ayrton Senna racing. It was great to watch. My dad was passionate about racing cars, but as soon as I saw it, I fell in love with the sport. It was the look of the cars, the sounds, the speed – I loved all of it. For a long time in my career, I was driving because I loved it. It was more for fun than thinking, ‘I would make it to Formula One.’ When I won the GP2 Asia Series, that’s when I thought, ‘Well, why not?’ If I could win GP2, which was just one step below Formula One, I knew there could be a good chance there. That’s really when I realized I could make it to Formula One and have a chance. It’s a tough sport. You need to be on top of your game every year. There are youngsters winning Formula Two every year, and they want to step up to Formula One. Experience is not something you can buy, which is great when you have some. It’s one of the most unique jobs in the world. The team is doing really well. I remember from day one when we started, I thought we were up to speed. Now from where we are, I see we weren’t up to speed at the time. The team’s been growing year-on-year and we’ve established ourselves as a very strong team. Once again, this year we have a very strong car. We’re here and we’re ready to fight. People have got to count on us because we’re fast. Bahrain wasn’t our best showing in terms of race pace. Unfortunately, that was the feeling I had from the Friday of the weekend. We didn’t quite manage to get on top of it. Saying that, I didn’t do much of the race, so it’s hard to judge if what we had done on my car was good enough. I think China’s going to be great. It’s a very different circuit. I think we’ve got some good tools to get ready for China and our testing in Bahrain has been another good opportunity to learn a bit more about what happened in the race there. 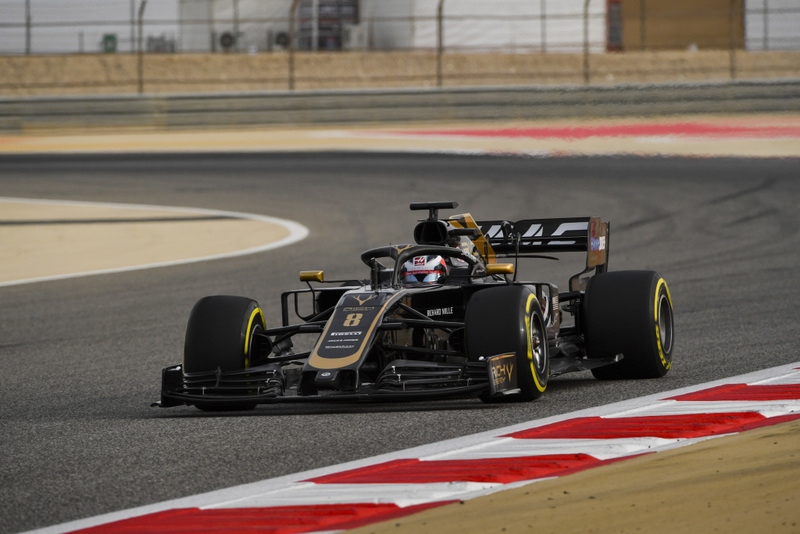 It has to be tire-usage related because the car is the same as we had in Melbourne and in preseason testing, where we were fast and we were fast again in qualifying in Bahrain. We’ve got the downforce and we’ve got the balance, we just need a little bit more cooperation on the tires. If we can process the information from testing, we should be fine for the race. Shanghai is a tricky track because it’s very different from the early stages in the year. It’s a front-limited circuit, meaning that the car needs to work well with the front tires. If it doesn’t, then it gets very tricky. Overtaking in Shanghai is not impossible. There’s the long backstraight with DRS helping overtaking maneuvers. In general, if the car is good in qualifying, the race should be quite good too. If not, then in the race you’re going to struggle. If you qualify in the top-10, you should finish in the top-10. If you’re not, then it’s harder. I’ve had good cars in Shanghai, therefore I’ve been able to score points.